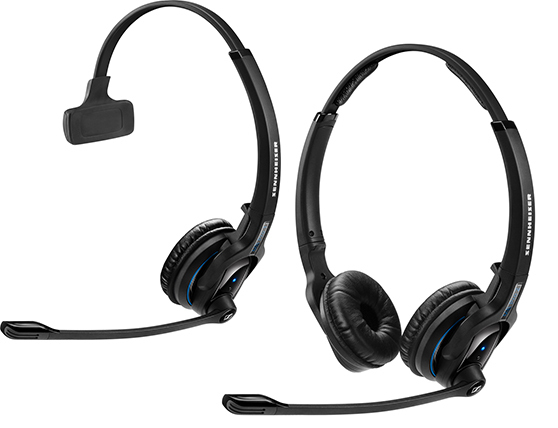 MB Pro Premium Bluetooth® Headset Series is designed for business professionals who demand wireless communication freedom, brilliant sound quality, and exceptional wearing comfort. 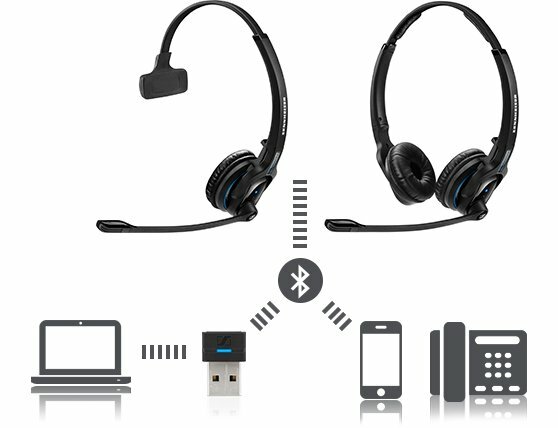 Seamlessly switch calls between 2 Bluetooth® devices (for example, Bluetooth®-enabled desk phone and mobile calls) from a single headset for maximum call handling flexibility. 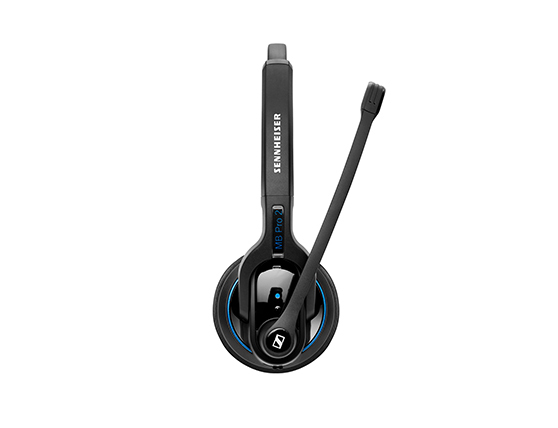 MB Pro is crafted with high-end materials to Sennheiser’s high standards to ensure maximum durability and design quality. 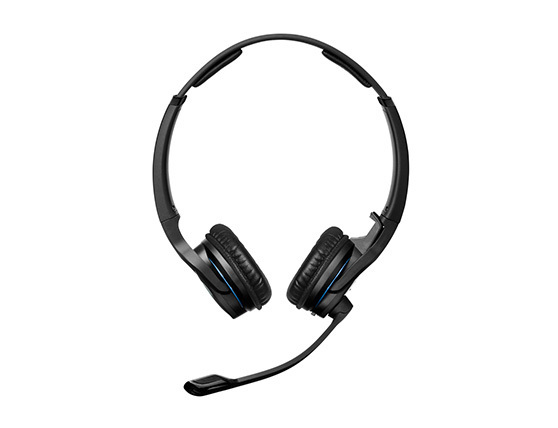 With up to 15 hours' talk time, you can communicate in HD audio for more than a full-work day. Room Experience ™ Technology In our constant search for a better listening experience, Sennheiser has created a new and exclusive way to experience the sound of headphones during calls. Room Experience ™ Technology is designed to reduce listener fatigue for all-day users. By externalizing the sound from your head, Room Experience™ gives you the impression that you are having a conversation with a person in the same room. 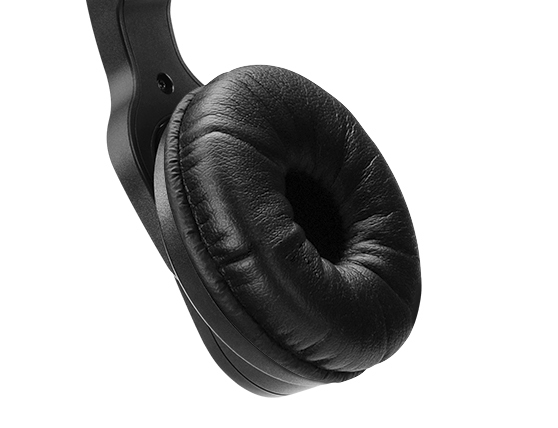 This more realistic sound gives you a more natural and comfortable listening experience. Flexible and mobile solution - MB Pro is designed to provide the business professionals the flexibility and mobility to communicate in the offices and on the move. 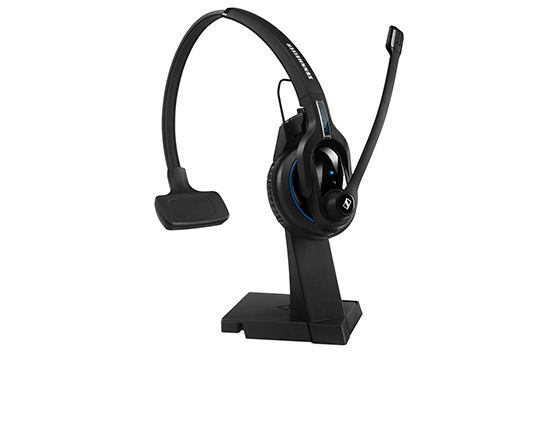 Intuitive answer/end feature - by placing the headset on/off the charger stand - the user is able to answer and end a call directly without further call management. Hearing Protection Technology - Sennheiser ActiveGard® is a patented hearing protection technology that protects users from the potential danger of acoustic shock from unexpected and sudden sound bursts on the line. By externalizing the sound from your head, Room Experience™ gives you the impression that you are having a conversation with a person in the same room. Sennheiser’s Room Experience™ is designed to reduce listener fatigue for all-day users. Please note that Sennheiser reserves the right to qualify the incoming requests.